Lindos Shore Superior Studio with sea view. Lindos is a village on the island of Rhodes in Greece, and about 50 km south of the town of Rhodes. This properties are under the Acropolis of Lindos, Rhodes. 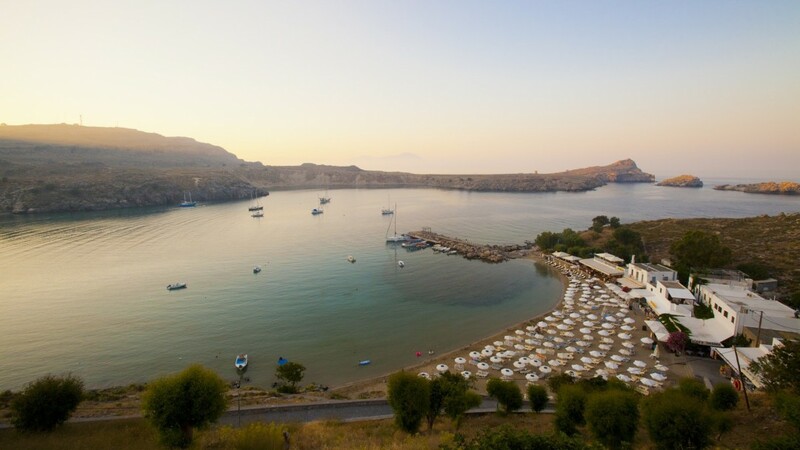 Situated just above the crystal clear Lindos Main Beach, it is a terrific spot to soak up the local atmosphere, being just 5 minutes walk from the village tavernas and bars. Therefore, you don't need to rent a car.